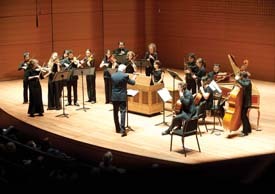 Juilliard Historical Performance enters its fourth performance season and presents a full schedule of concerts in 2012-2013, with its student period-instrument ensemble Juilliard415; the faculty ensemble Juilliard Baroque; and a roster of visiting guest artists. Artists making their Juilliard debut include: historical keyboard specialist Kristian Bezuidenhout; artistic director of Boston’s Handel and Haydn Society, Harry Christophers; viola da gambist Wieland Kuijken; harpsichordist and conductor, Lars Ulrik Mortensen; and Trio Sonnerie. Distinguished artists returning to Juilliard include: William Christie and members of Les Arts Florissants; Richard Egarr; Monica Huggett; Nicholas McGegan; Robert Mealy; and Jordi Savall. Beginning this fall, Robert Mealy, called “New York’s world-class early music violinist” by The New Yorker, becomes director of Juilliard Historical Performance, and leads his first Juilliard415 performance on Friday, December 14 at 8 PM in Alice Tully Hall in an all-Rameau program. Monica Huggett, who has been artistic director since the program’s founding, takes on the active roles of artist-in-residence and artistic advisor of Juilliard Historical Performance. Juilliard’s Historical Performance season opens with its faculty ensemble, Juilliard Baroque, featuring violinist Monica Huggett, flutist Sandra Miller, viola de gambist Sarah Cunningham, and harpsichordist Kenneth Weiss on Monday, September 24 at 8 PM in Paul Hall. The program includes Telemann’s “Paris” Quartets. Wieland Kuijken, viola da gambist, leads a master class which is open to the public, on Tuesday, October 2 at 4 PM in Juilliard’s Paul Hall. Returning visiting artist, William Christie, and members of Les Arts Florissants join Juilliard415 in Handel’s Il Trionfo del tempo e del disinganno, HWV 46a (The Triumph of Time and Truth) with Juilliard singers on Saturday, October 27 at 8 PM in Alice Tully Hall. A residency with violinist Florence Malgoire, cellist David Simpson, oboist Pier-Luigi Fabretti, and harpsichordist Beatrice Martin, longtime members of Mr. Christie’s Paris-based orchestra, Les Arts Florissants, completes the activities of the week. 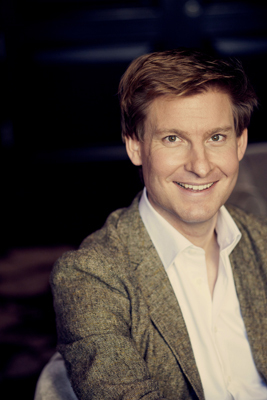 Keyboardist Kristian Bezuidenhout makes his debut leading Juilliard415 on Monday, November 19 at 8 PM in Alice Tully Hall in an all-Mozart program featuring the Divertimento in F Major, K. 138; Piano Concerto in F Major, K. 413; Fantasie for solo piano in C Minor, K. 475; and Piano Concerto in A Major, K. 414. Juilliard’s newly-commissioned fortepiano, specially made by instrument maker R.J. Regier of Freeport, Maine (http://www.rjregierfortepianos.com/. ), will be used for this concert, exemplifying Juilliard Historical Performance’s mission of performing music from the early 17th to mid-18th centuries on period instruments. Juilliard415 has been invited to perform on The Bohemians concert series at the New York Musicians Club, located at 15 East 65th Street, on Monday, December 3 at 8 PM. Founded in 1907 by pianist Rafael Joseffy, The Bohemians is an exclusive NYC-based society comprised of musicians and music lovers whose objectives include furthering the cause of music and the interests of musicians, advancing the careers of young musicians, and supporting the Musicians Foundation – a tax-exempt charitable organization which aids professional musicians in need. Free tickets for the concert are available to current New York Musicians Club members. Juilliard Historical Performance’s newly-appointed director, violinist Robert Mealy, leads Juilliard415 on Friday, December 14 at 8 PM in Alice Tully Hall. The program features suites from Rameau’s Dardanus and Castor et Pollux. Returning visiting artist, viol master and conductor Jordi Savall, leads Juilliard415 on Saturday, January 26 at 8 PM in Alice Tully Hall in a program entitled “Ludi Musici” that explores the birth of the orchestra in Germany, with music for strings, winds, brass, and percussion by William Brade, Johann Rosenmüller, Samuel Scheidt, and Johann Hermann Schein. Mr. Savall will lead the orchestra from the viol and will be joined by longtime associate, percussionist David Mayoral, who will work with students from the percussion department. Artist-in-residence, violinist Monica Huggett, and Juilliard415 make their first of two appearances on the Music on Madison series on Sunday, February 24 at 3 PM at Madison Avenue Presbyterian Church (located at 921 Madison Avenue, NYC). The two-concert series features Biber’s “Mystery” Sonatas and explores spiritual themes linked to the Lenten season. The second concert in the series takes place on Sunday, March 3 at 3 PM. Admission by suggested donation at the door: $15, students/seniors, $10, and children under 12 free. On Wednesday, February 27 at 8 PM in Juilliard’s Peter Jay Sharp Theater, Monica Huggett leads Juilliard415 in Russian violinist Dmitri Sitkovetsky’s string orchestra transcription of J.S. Bach’s Goldberg Variations. Monica Huggett and Juilliard415 head downtown to (Le) Poisson Rouge, located at 158 Bleecker Street, NYC, on Sunday, April 14 at 7:30 PM for a free concert. The program features virtuoso music from 17th-century Italy (known as stylus fantasticus). 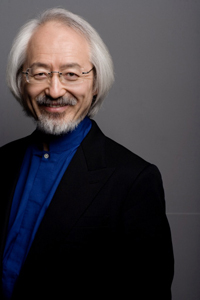 Juilliard415 partners for the third time with the Yale Institute of Sacred Music and distinguished Bach specialist, conductor Masaaki Suzuki, for three performances of J. S. Bach’s Mass in B Minor. They perform in New Haven at Woolsey Hall on Friday, April 26 followed by a concert in New York City on Saturday, April 27. These two concerts are free; no tickets are required. This season they add a third performance when they are presented by the Virginia Arts Festival in Norfolk, Virginia on Sunday, April 28 at 8 PM. For further information, go to www.vafest.org or call (757) 282-2800. These performances are followed by a tour to Asia. Juilliard Historical Performance musicians perform on a new, free lunchtime series at Holy Trinity Lutheran Church (65th Street and Central Park West, NYC) beginning this fall. The four concerts in the series – October 10, November 7, January 30, and May 8 – all on Wednesdays at 1 PM – feature chamber music on period instruments in the 108-year-old church, home of the celebrated Bach Vespers series. These hour-long concerts are free, no tickets are required. The series is an extension of Juilliard’s “Wednesdays at One” series that takes place during the school year in Alice Tully Hall. Juilliard Baroque returns to the Music Before 1800 concert series on Sunday, February 10 at 4 PM in Corpus Christi Church located at 529 West 121st Street. The concert features François Couperin’s most ambitious chamber music work, Les Nations, comprised of four suites, with violinists Monica Huggett and Cynthia Roberts; viola da gambist Sarah Cunningham; flutist Sandra Miller; oboist Gonzalo Ruiz; bassoonist Dominic Teresi, and harpsichordist Kenneth Weiss. Juilliard Baroque performs the first suite and a selection of movements from the other three suites. This is Juilliard Baroque’s third annual appearance on the series. Tickets are $27.50 - $45 and available at http://mb1800.org/, or by calling (212) 666-9266. Residencies continue to be an important part of Juilliard’s Historical Performance Program and give Juilliard musicians a chance to work closely with a ‘who’s who’ list of early music specialists. 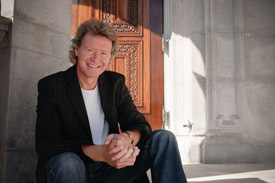 Conductor Harry Christophers spends a day coaching singers and instrumentalists on Monday, October 15. John Holloway (violin), Jane Gower (dulcian), and Lars Ulrik Mortensen (harpsichord) coach Juilliard musicians on Friday, October 26, and Mr. Mortensen will do a reading session with Juilliard415 on Monday, October 29. Returning conductor Nicholas McGegan coaches Juilliard musicians on Friday, November 2. Harry Bicket holds a master class on Monday, December 3, with the kind permission of the Metropolitan Opera. Violinist Monica Huggett brings her ensemble, Trio Sonnerie, to Juilliard for a day of coaching in April. Members of Trio Sonnerie are Monica Huggett, director and violinist; Emilia Benjamin, viola da gamba; and James Johnstone, harpsichord. Harpsichordist Richard Egarr returns for two week-long residencies in December and March to teach, give harpsichord lessons, and coach chamber music. While these residencies and coachings are working sessions and not open to the public, all other Juilliard Historical Performance concerts are free, and tickets are available approximately two weeks before the concert dates at the Janet and Leonard Kramer Box Office at Juilliard. For further information, call (212) 769-7406 or go to www.juilliard.edu. Robert Mealy is one of America's leading historical string players. He has recorded and toured a wide variety of repertoire with many distinguished ensembles both here and in Europe, including Sequentia, Tragicomedia, Les Arts Florissants, and Tafelmusik. As a soloist and chamber musician, he has appeared at music festivals from Berkeley to Belgrade and from Melbourne to Bergen. A frequent leader and soloist in New York, Mr. Mealy is concertmaster at Trinity Wall Street, where he will lead the Trinity Baroque Orchestra in a complete series of Bach cantata performances. Since 2004, he has led the Boston Early Music Festival Orchestra, making three Grammy-nominated recordings and performing many festival concerts with them, including a special appearance at Versailles. He has also led the Mark Morris Dance Group Music Ensemble in performances in New York, New Haven, and Moscow, and has accompanied Renée Fleming on the “Late Show with David Letterman”. A devoted chamber musician, he directs the 17c ensemble Quicksilver, and is a member of the King’s Noyse and the Medieval quartet, Fortune’s Wheel. Mr. Mealy has been a professor at Yale since 2009, where he directed the postgraduate Yale Baroque Ensemble. Prior to teaching at Yale, he founded and directed the Harvard Baroque Chamber Orchestra for a decade. He joined Juilliard’s Historical Performance Program when it first began as director of core studies and chamber music, and he will become director of the full program this fall 2012. In 2004, he received EMA’s Binkley Award for outstanding teaching and scholarship. He has recorded more than eighty CDs on most major labels. Monica Huggett becomes artist-in-residence and artistic advisor of Juilliard Historical Performance this fall. She also is artistic director of the Portland (Oregon) Baroque Orchestra and the Irish Baroque Orchestra based in Dublin. During the past four decades, she has co-founded the Amsterdam Baroque Orchestra with Ton Koopman; founded her own London-based ensemble Sonnerie; worked with Christopher Hogwood at the Academy of Ancient Music; with Trevor Pinnock and The English Concert; toured the United States in concert with James Galway; and in 2004, co-founded the Montana Baroque Festival. She has served as guest director of the Arion Baroque Orchestra, Montreal; Tafelmusik, Toronto; the Los Angeles Chamber Orchestra; Philharmonia Baroque, San Francisco; the Norwegian Chamber Orchestra; the Seville Baroque Orchestra; Concerto Copenhagen; and as guest soloist with Helicon, New York; Galatea, New York; Mercury Baroque, Houston; and the Early Music Festival, Utrecht. Her recordings have won numerous prizes, and most recently, her CD Flights of Fantasy was named by Alex Ross in his New Yorker review, the 2010 CD of the Year. Ms. Huggett holds an honorary fellowship at the Royal Academy of Music in London. Juilliard’s Historical Performance program enters its fourth year. Established in 2009, the program is open to master of music degree and graduate diploma candidates and offers comprehensive study focusing on music from the 17th and 18th centuries. The performance-oriented curriculum fosters an informed, vital understanding of the many issues unique to period instrument performance with the level of technical excellence and musical integrity for which Juilliard is renowned. Joint projects and collaborations with Juilliard’s Marcus Institute for Vocal Arts and with modern instrument students outside of the Historical Performance program are an integral part of the program. The master of music degree program requires a two-year residency; the graduate diploma program with a major in Historical Performance is a two-year, non-degree course of study. Along with weekly lessons and frequent performances, the curriculum also includes core classes covering a broad range of issues related directly to performance, including style and interpretation, historical and cultural contexts, analytical methods and treatises, historical dance, improvisation, continuo improvisation/figured bass reading, and ornamentation. Secondary lessons for modern instrument majors are offered in flute, oboe, bassoon, violin, viola, viola da gamba, cello, trumpet, horn, harpsichord, and double bass. The program features residencies and master classes with many of the leading figures in early music. Recent guests have included Fabio Biondi, William Christie and members of Les Arts Florissants, Dame Emma Kirkby and Jakob Lindberg, and Jordi Savall. Mr. Christie and Mr. Savall are returning guest artists, who work intensively with students in repertoire-focused residencies that culminate in public performances. Last season, early music experts Richard Egarr, Steven Fox, Ton Koopman, and Masaaki Suzuki led musicians from Juilliard Historical Performance. Juilliard’s Admissions Office at (212) 799-5000, ext. 223. Free tickets to the concert are available to current members of The New York Musicians’ Club (membership $30-$105, plus initiation fees). “Ludi Musici” explores the birth of the orchestra in Germany, with music for strings, winds, brass, and percussion by William Brade, Johann Rosenmüller, Samuel Scheidt, and Johann Hermann Schein. Free concert; no tickets are required. The first of four suites, La Françoise, will be performed in its entirety, followed by selected movements from L’Espagnole, L’Impériale, and La Piémontoise. For more information, call (212) 666-9299 or go to http://mb1800.org. Tickets are $27.50 - $45 and available on the Music Before 1800 Web site at http://mb1800.org or by calling (212) 666-9266. For more information, call (212) 288-8920 or go to www.mapc.com. The program features virtuoso music from 17th-century Italy (known as stylus fantasticus). For more information, call (212) 505-FISH or go to http://lepoissonrouge.com. For more information, please visit www.vafest.org or call (757) 282-2800. A tour in Asia follows the three concerts with Juilliard415, Yale’s Schola Cantorum, and the Yale Baroque Ensemble. All concerts at Juilliard are FREE. Tickets are required and will be available at the Janet and Leonard Kramer Box Office at Juilliard, two weeks before each event. For further information, call (212) 769-7406 or go to www.juilliard.edu. PLEASE NOTE: These coachings, residencies, and master class are not open to the public. Richard Egarr returns for two week-long residencies to teach, give harpsichord lessons, and coach chamber music.